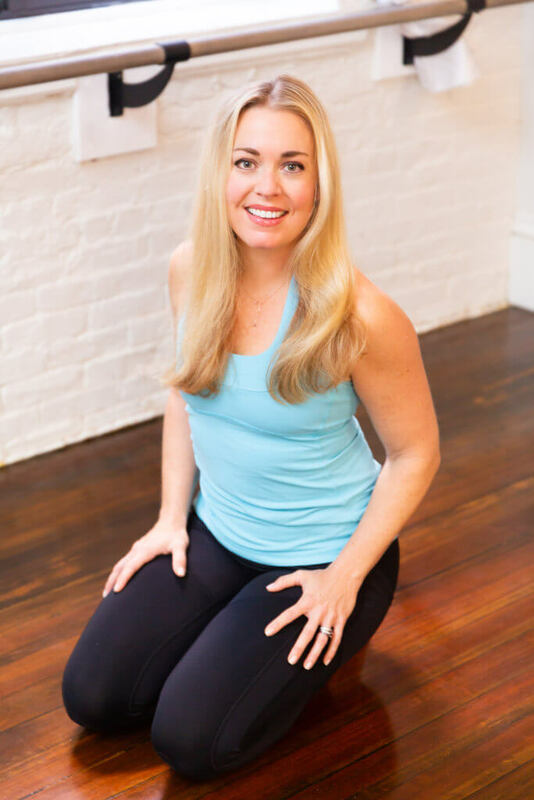 Meet Amy Guidi, a yoga instructor, barre teacher, and certified trainer living in Boston. She's originally from the Main Line outside of Philadelphia, and has lived all over the northeast and midwest. She's a busy mom of a 3 1/2-year-old daughter and 1 1/2-year-old son. Prior to starting her family, she worked in non-profits. She's deeply passionate about nutrition and fitness, and is always seeking new ways to optimize her health and her family's. My daily goal is to wake up and get myself together before anyone else is up. That really sets the tone of the day for me. If I don't get a head start, I feel rushed all day long! My morning routine is very low maintenance these days: I get "dressed" in workout clothes, wash face, apply moisturizer, and a swipe of Onomie lip and cheek stain, drink a glass of water with lemon, and make coffee. This takes all of 10 minutes — but I need those 10 minutes to myself to ease into the day. BINTO: Tell us about your eating habits. I view food and exercise as preventative medicine, and consider what foods I can add to my plate to enhance my health for the day. What works for me is a diet high in protein and complex carbs, but low in saturated fat and processed sugar. Heart disease runs in my family so I add in a lot of antioxidants (berries, nuts, greens) and eat red meat, cheese, high glycemic carbohydrates very rarely. I also try to combine protein, fiber, and healthy fat in each meal to create blood sugar balance — for myself as well as my kids! Breakfast is usually a smoothie; non-fat organic yogurt with almond butter, hemp hearts, and berries; eggs and avocado; or oatmeal with chopped nuts and fruit. I treat lunch as an opportunity to get more greens and lean protein and do my best to make it happen! The mid-afternoon 4 p.m. lull is a struggle. I'll make a chocolate vegan protein smoothie if I'm home, or if I really feel I need the sugar, dates are a really good option. They're high in potassium, and won't spike blood sugar nearly as much as the processed variety! During the week I prefer to eat dinner early and give my body a while to digest before bed. Note: This is an ideal day scenario, I definitely eat Perfect Bars on the go quite often! BINTO: What workouts do you enjoy? Which do you not enjoy? I usually work out 4 to 5 days per week. I do a mix of weight training, HIIT, spinning, running, barre, and yoga I love dance-based workouts too. I believe building muscle is super important as we age, so I make sure to get those weight training sessions in. 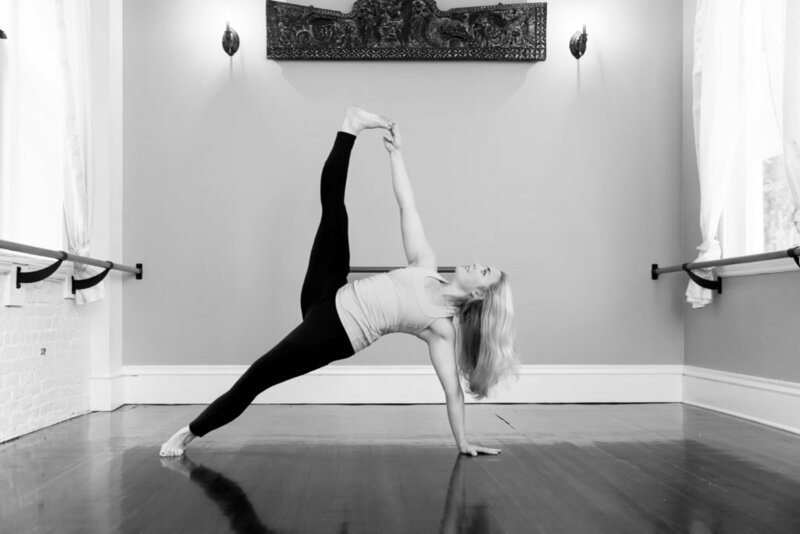 And I simply can not function without the physical and mental flexibility that yoga provides. 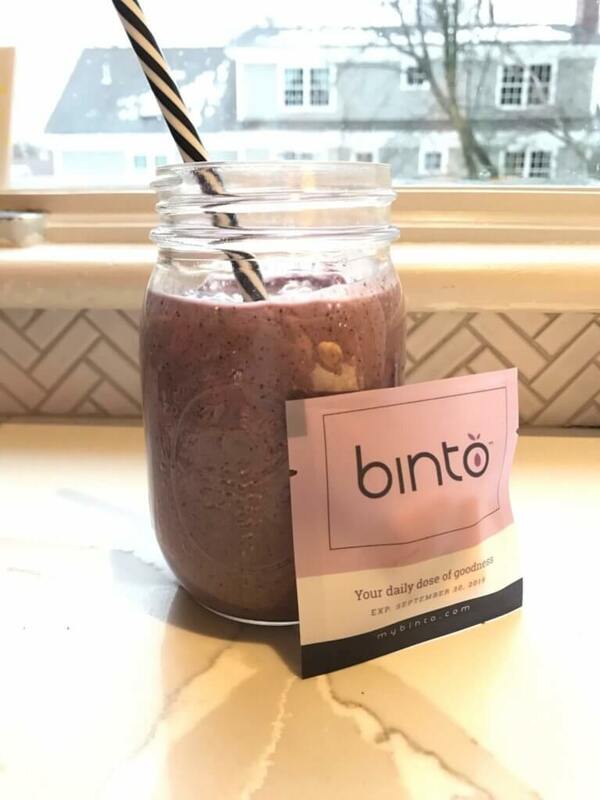 BINTO: How has your wellness routine changed/developed now that you're a mother? I've always prioritized it, and continued to do so during both pregnancies (when I was well enough!) and after. I make the time. I am a much more fun-loving, patient, energetic Mom when I have moved in the day. I consider longevity more now that I am a mother: how can I move and what do I need to do to keep my body optimally healthy for the long-haul? At-home apps like Peloton, Sweat, and Obe fitness are great in a pinch. I've also started bringing my daughter to yoga classes as a weekend activity, and I teach yoga to her nursery school class. It is incredible how effective the breathing exercises are for her, and how often she is open to using them in her daily life to manage emotions. My mom was and still is an excellent role model of mindful self-care, so in a way it is inherent. I do believe there are always new and deeper layers in taking ownership of our health. The first layer for me was educating myself about the basics of proper nutrition after college... albeit amazing, those were not my healthiest four years. I was a singer and performer and needed to be healthy and fit to do my job. I taught myself that I could commit to positive change, and truly take care of myself. Today, it looks a little bit more like staying on top of bloodwork panels, mammograms, and the occasional vitamin IV... layers! I am obsessed with Binto. The primary difference I have noticed is digestion. I process food much more efficiently now, am rarely bloated, and even have noticed less bloating during PMS. I definitely have more energy during the day and sleep better at night. It is so convenient to have everything you need in one packet, once per day. I am so done with buying bottles and bottles of expensive probiotics and supplements! 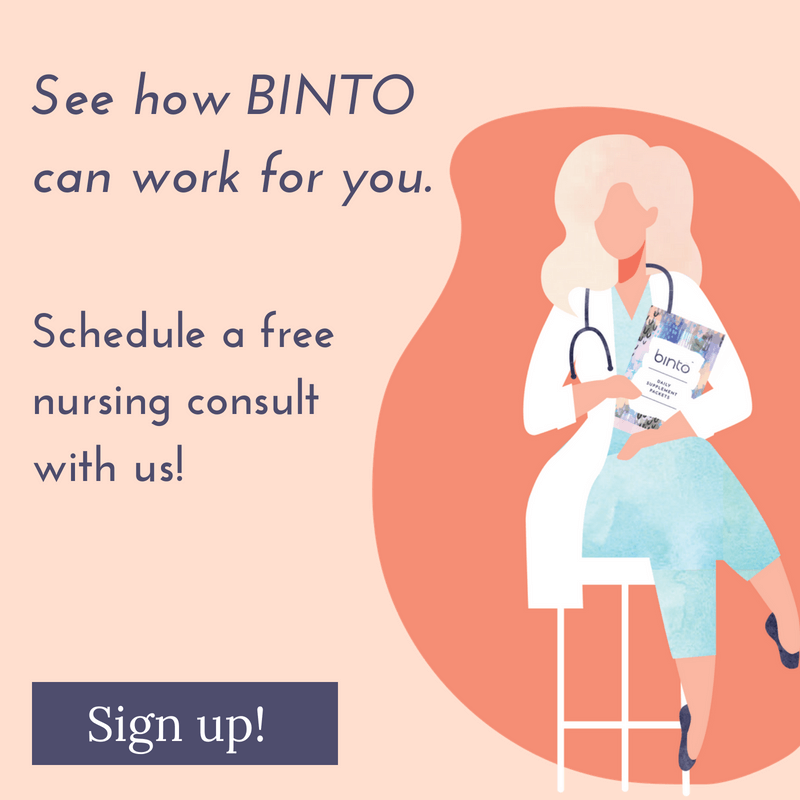 I love that Binto is always evolving, and on the cutting edge of what is best for women's health. I go in and out of a meditation practice. It's always the first to go when time is short. I know I would have significantly more patience with my children and be more joyful all around if I was on the ball! The answers to the questions we have about our lives are right there, and I don't know how 5 minutes feels unavailable sometimes. Tis is officially my New Year's resolution! 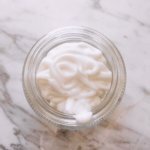 Wellness is a blend of educating ourselves on healthy practices (i.e., best nutrition, fitness, mindfulness,) and tuning in and making choices that make us feel the most balanced and able to thrive in our lives. 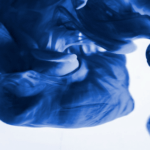 The whole picture can fluctuate — it may be more time with our significant other, more community, more sleep, that we need to get back into balance at a given time. 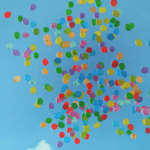 Sometimes we think we need to overhaul our whole lives to be happier, when a slight shift will do the trick.